Just last week, we hosted 200 health care marketing professionals at Content Marketing World Health Summit. During my keynote presentation, I shared findings on how health care marketers are using content marketing, based on research we recently conducted with MarketingProfs, sponsored by both Brightcove and Pace. 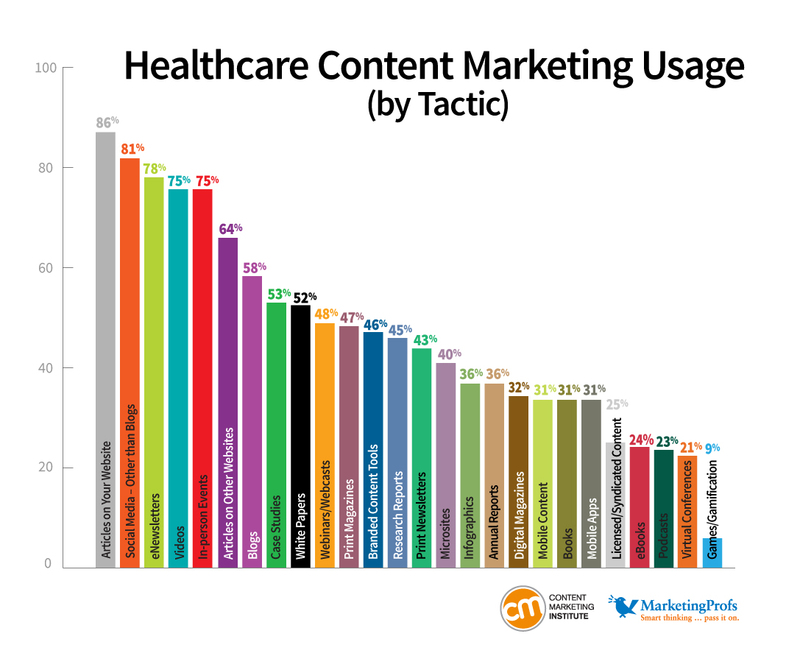 This is nothing against our wonderful marketers in the health care space, but just take a look at our content marketing research from two years ago. What you’ll notice is that the health care content marketing findings from this year look a lot like the overall findings from two years ago. And this makes sense — health care is a highly-regulated industry, and fear is rampant. But it also means there are significant opportunities for growth in this space. Forty-three percent of health care marketers plan to increase their content marketing spend over the next 12 months, compared to 54 percent for all industries. On average, health care marketers spend 23 percent of their total marketing budget on content marketing activities, compared to 31 percent for all marketers. Brand awareness is the most popular content marketing objective (81 percent). The biggest content marketing challenge is producing enough content. NOTE: You can find the entire suite of 2013 content marketing research here. Print magazines: 47 percent of health care marketers use them, versus 35 percent of all marketers. Print newsletters: 43 percent of health care marketers use them, versus 28 percent of all marketers. Annual reports: 36 percent of health care marketers use them, versus 26 percent of all marketers. 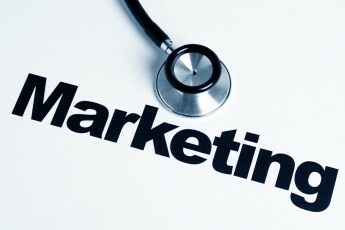 Blogs: 58 percent of health care marketers use blogs, versus 74 percent of all marketers. 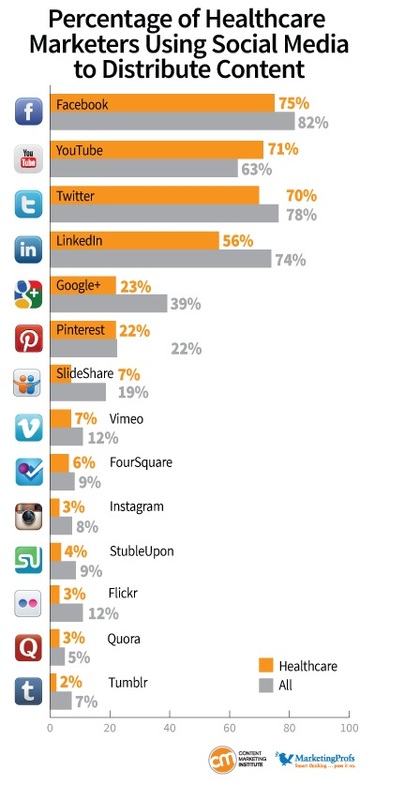 Below you will see the average rates for using social media for content distribution. With the exception of YouTube, health care marketers use all social media channels less often than their peers in other industries do. Yet, it’s interesting to note that health care marketers use video (75 percent) slightly more often than their peers (71 percent). 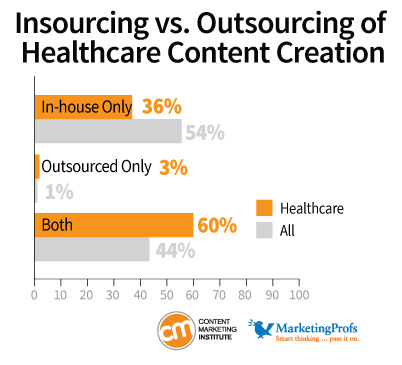 Compared to their peers, health care marketers outsource content far more often: 63 percent versus 45 percent of marketers overall. Printed content marketing vehicles have been a mainstay in the industry for a long time, often outsourced to content agencies. In addition, adding outside consult is always helpful, as fear of HIPAA violations is always a concern for marketers. Out of 2,404 total respondents, 118 respondents identified themselves as working in the health care industry. About half of the respondents work for companies with 1,000 or more employees, and 23 percent of total respondents work for companies with more than 10,000 employees. Do you work in health care? Are these trends consistent with what you are seeing? Looking for more content marketing research? Check out our recently-released, third annual B2B Content Marketing: 2013 Benchmarks, Budgets and Trends and the first annual 2013 B2C Consumer Content Marketing Research. Cover image via Bigstock Photo.